I would tell you about my story Going to Saga Castle. Saga Castle is located in Saga City of Saga Prefecture. This castle is unique from some of the major castles in Japan because it was designed and built upon the flat, lowlands as many other castle is secured atop mountainous and hilltop regions. On June 10th I went to this castle with Yoshimura Sensei, Kii Sensei, and Hashima-san. After went to Saga Prefectural Office and greeted Saga governor and staffs in the morning, we headed Polytechnic Center Saga and this unique castle in the afternoon. Here some pictures I took. 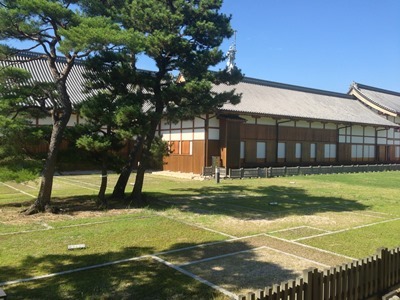 Like many old structures in Japan, Saga Castle has undergone its share of reconstruction and maintenance; the first going back as early as 1728 and the most recent, in 2004. I was so impressed that Japan governor supported some castles in district far from capital city. Japan is really supporting action for protecting and defending the historical building, culture and arts. 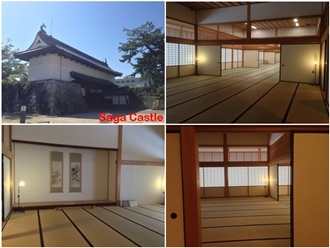 Here are Saga Castle homepage if you need some information.